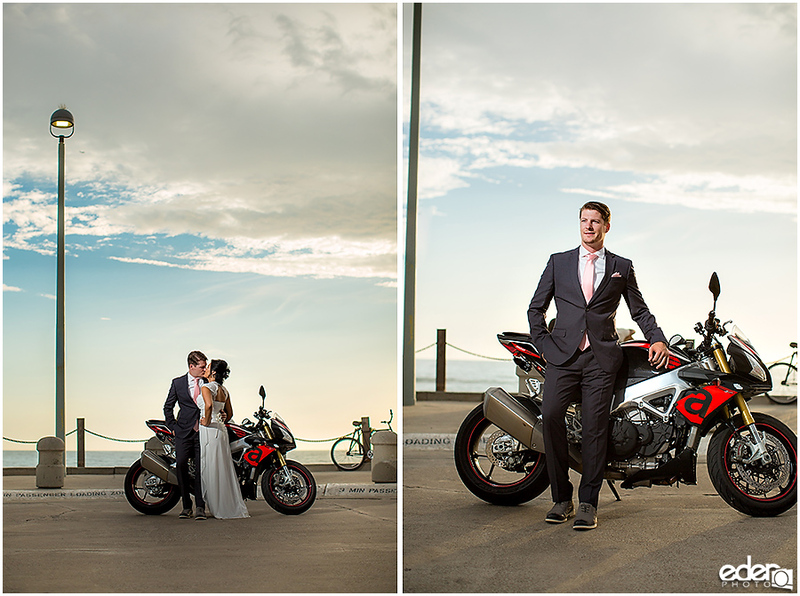 When you are an adventurous couple like Gayle and Malcolm, traditional might not always be the best fit. 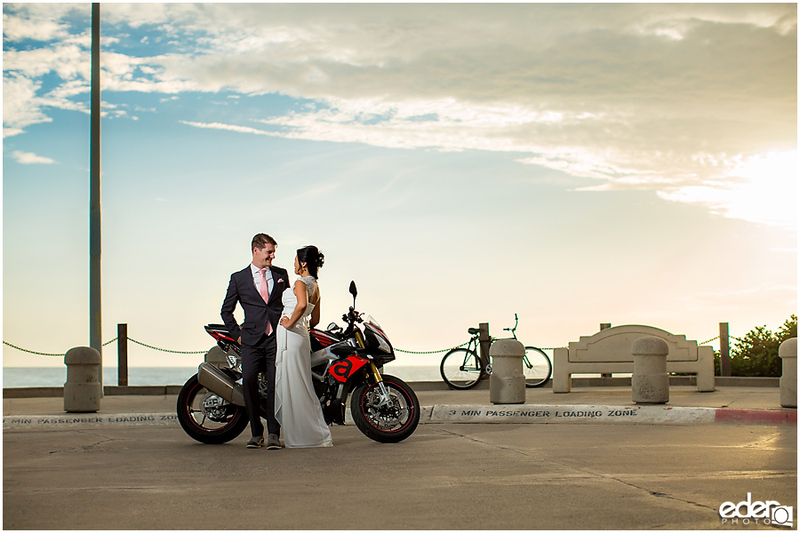 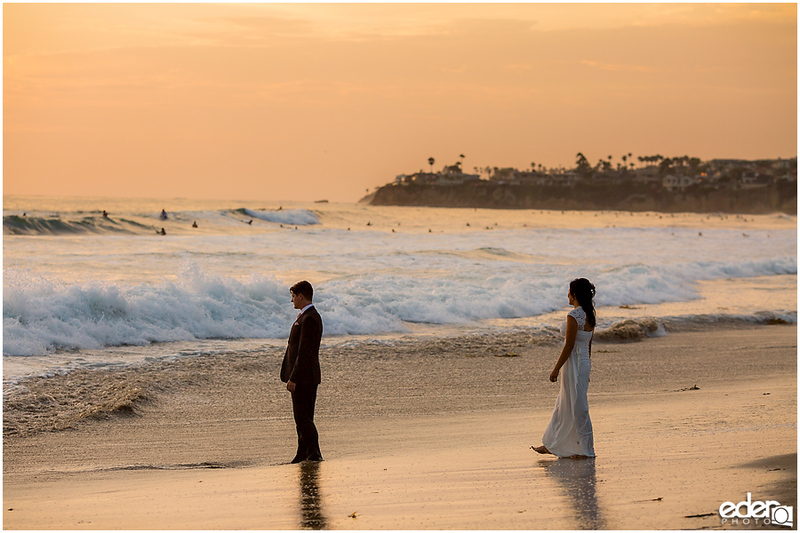 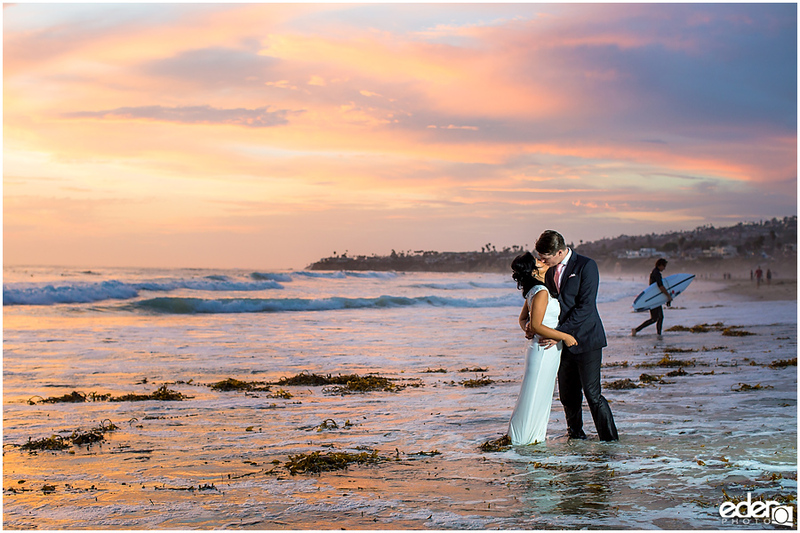 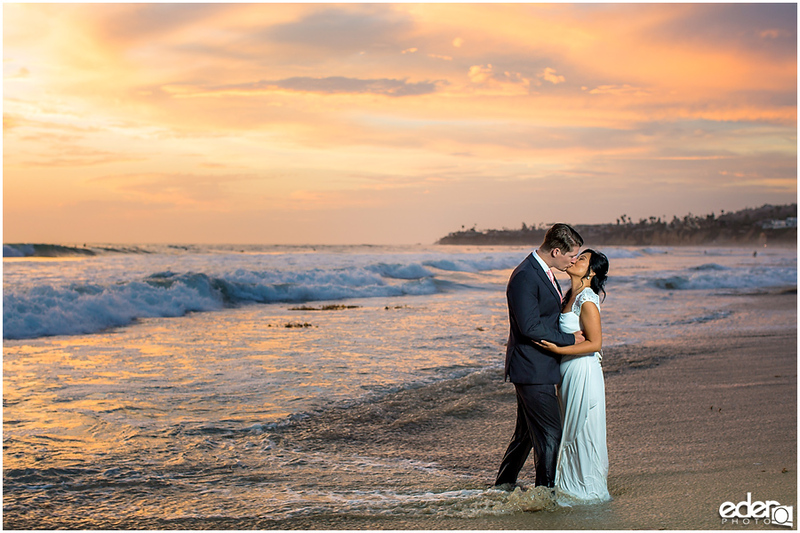 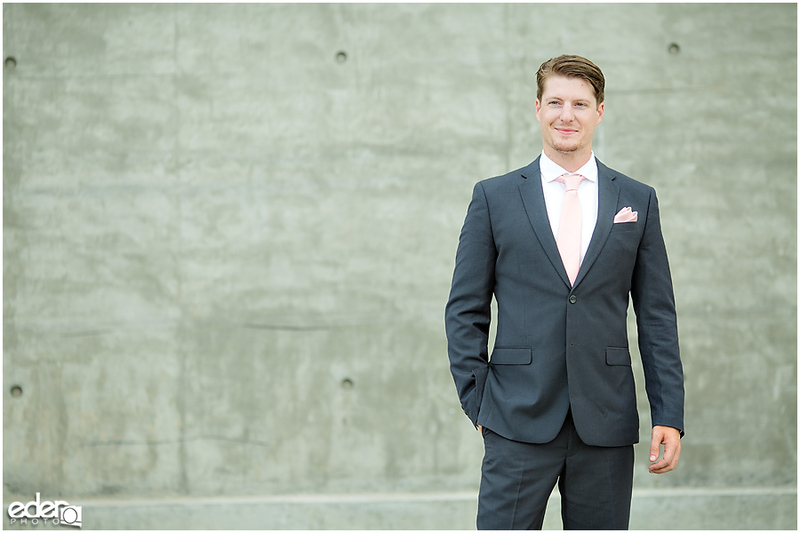 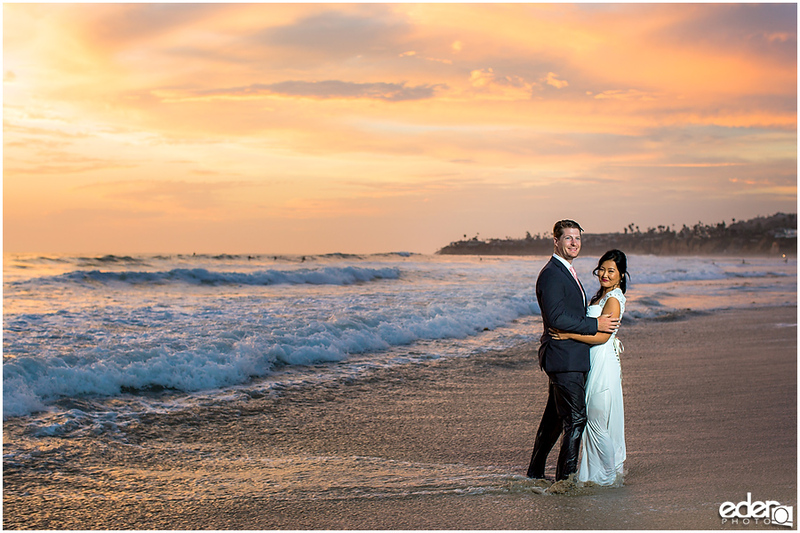 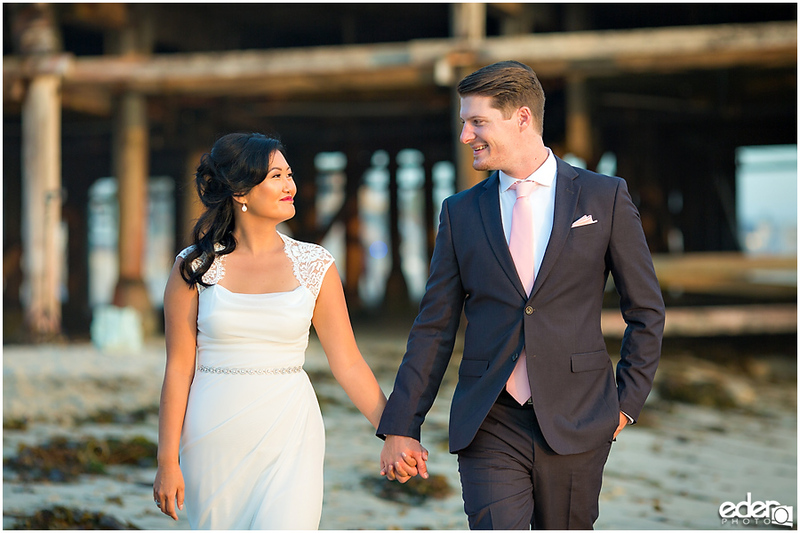 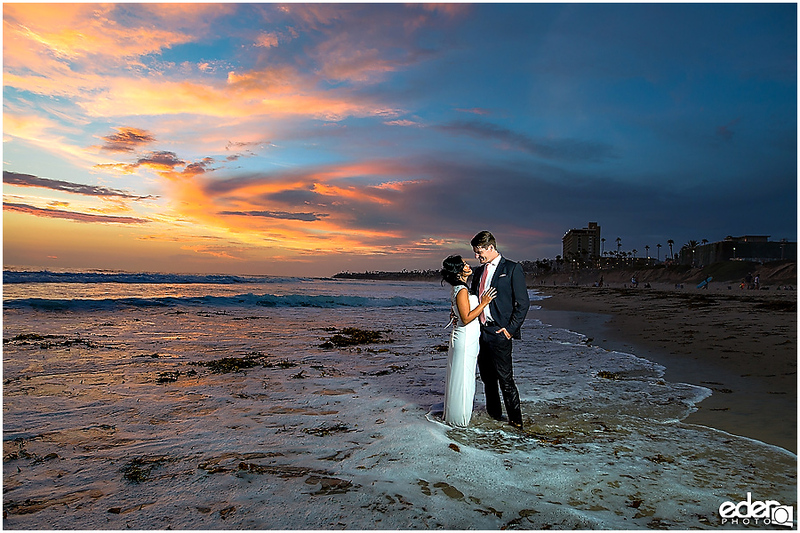 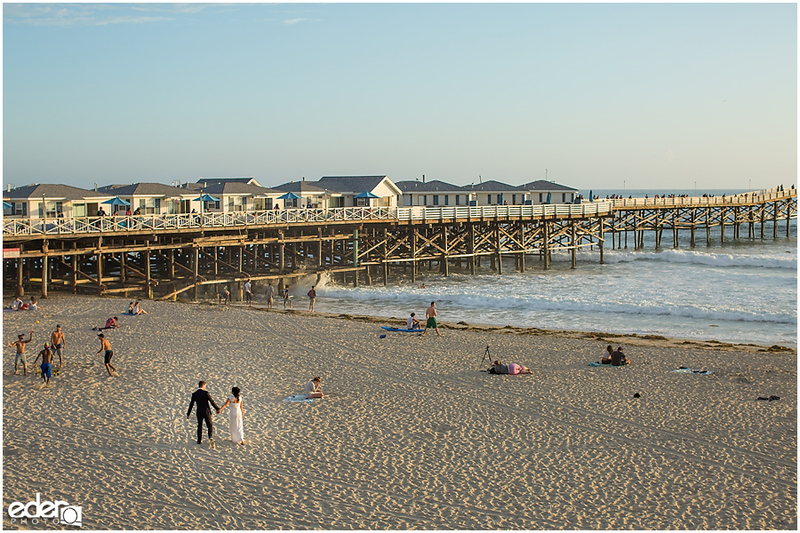 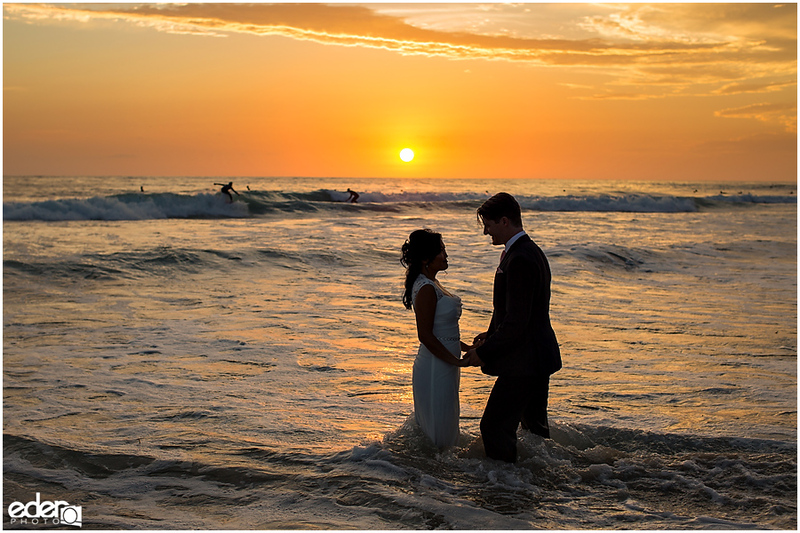 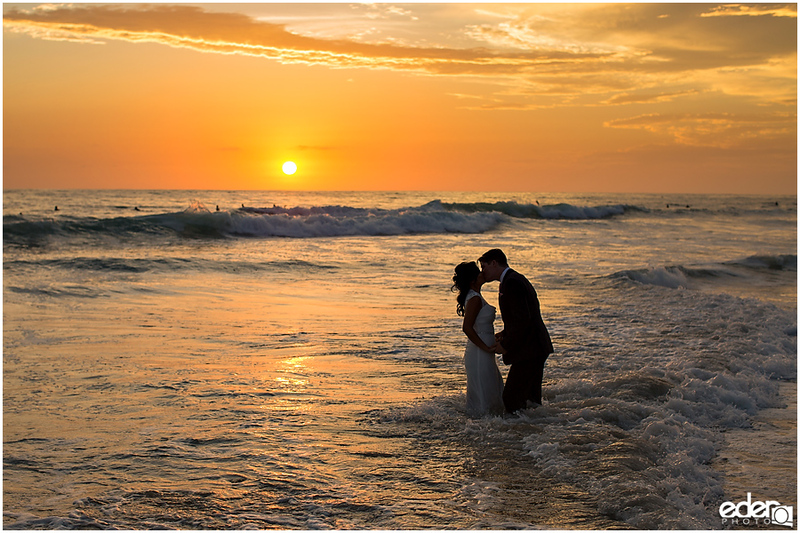 For them having your typical wedding wasn’t as exciting as eloping and doing a trash the dress session at a San Diego beach. 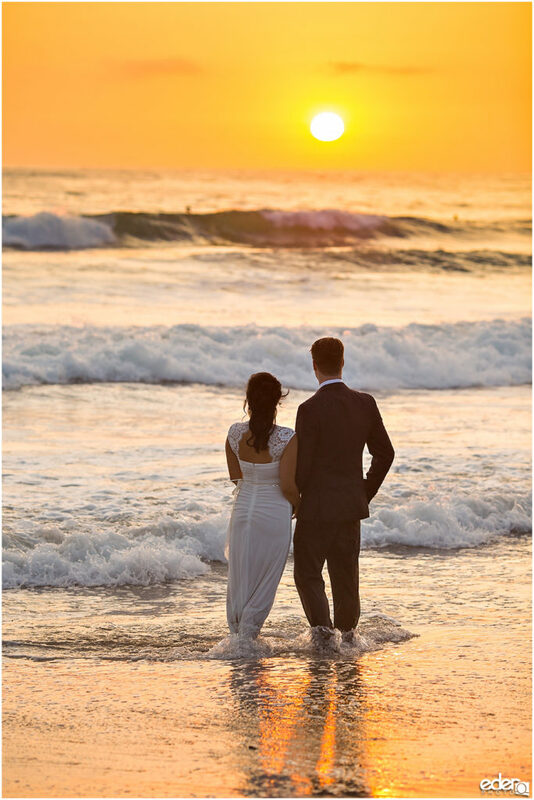 All the money that they did not spend on a big traditional wedding they then put towards traveling the world. 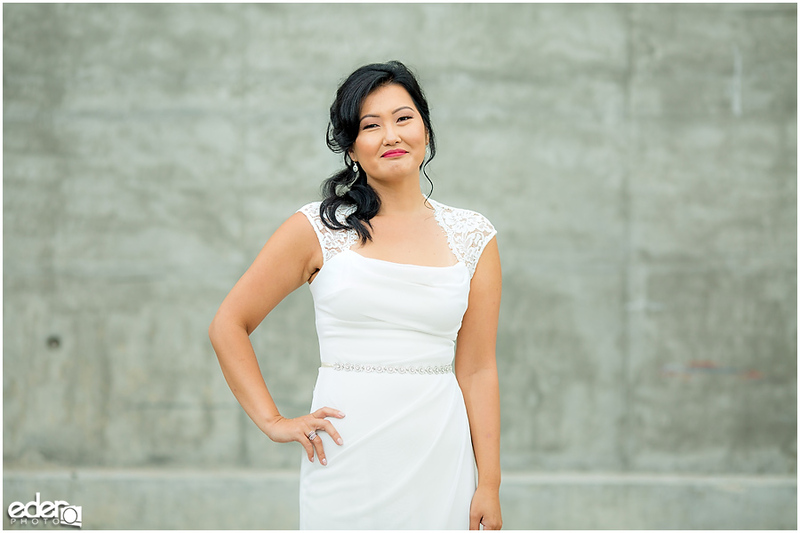 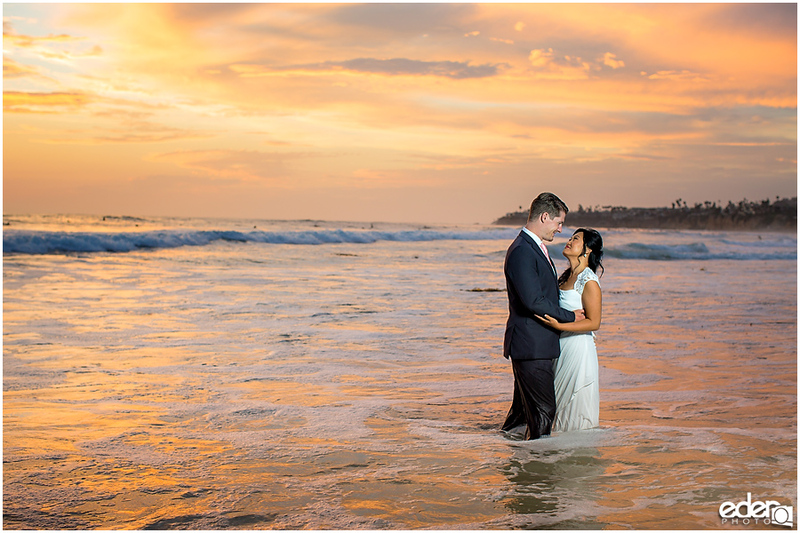 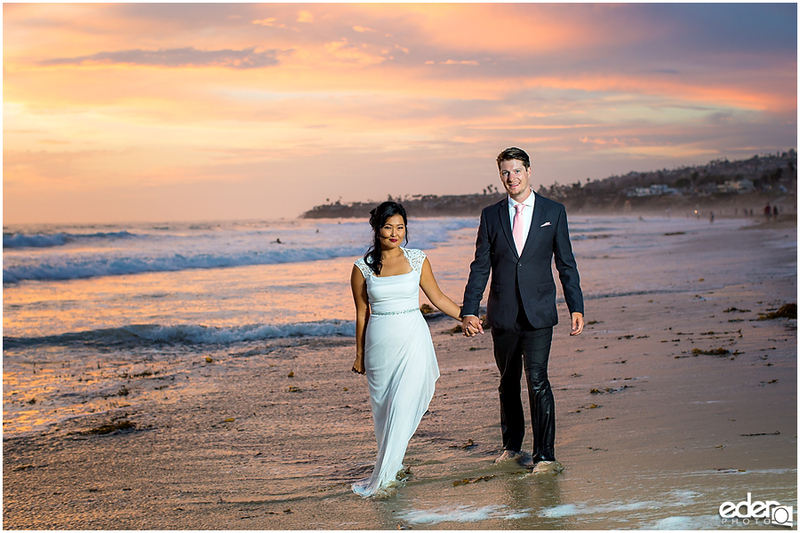 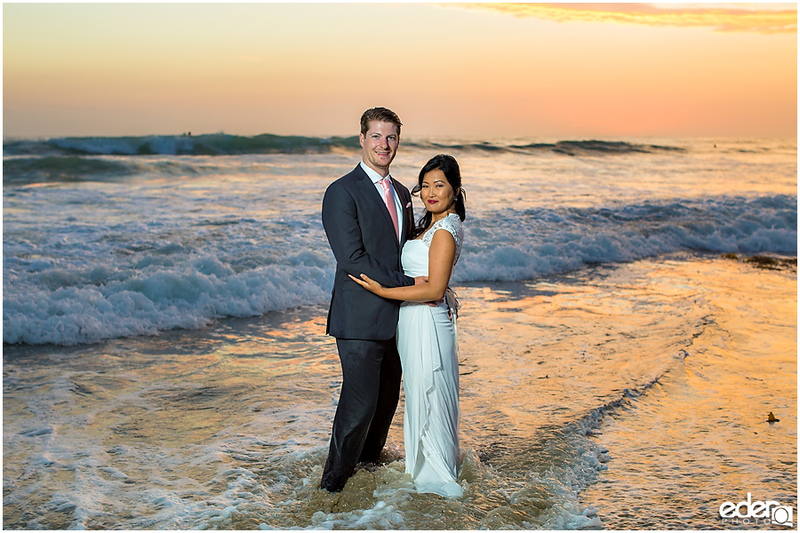 When Gayle sat down with me to plan her session, her main goal was to get all dressed up and then jump into the ocean. 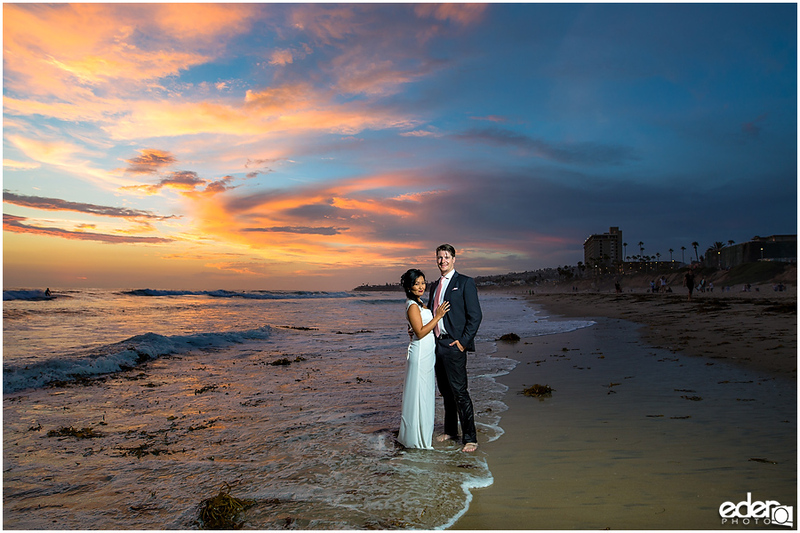 Since I don’t like to waste an opportunity, we added some portraits before that so we could have more than just the water photos. 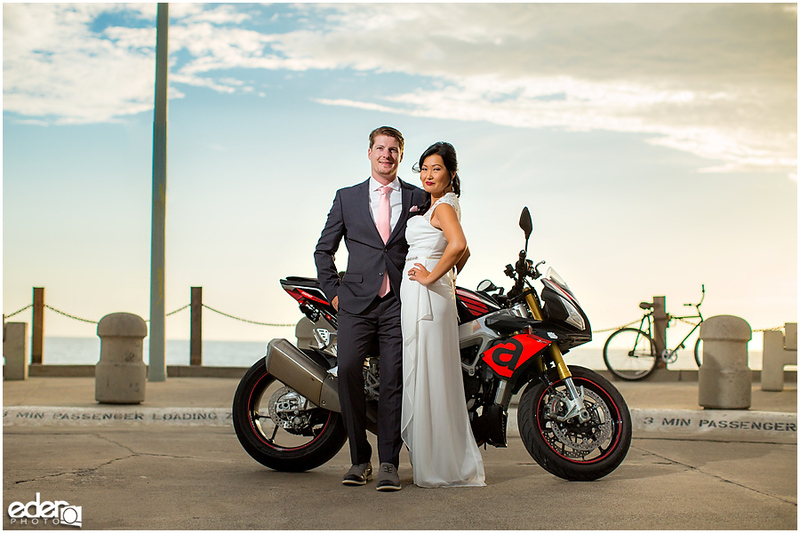 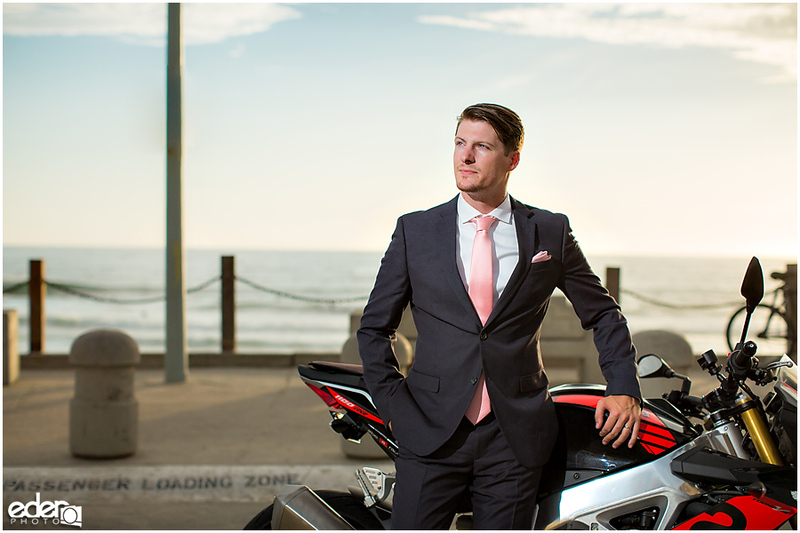 I knew that riding was part of their lifestyle and since they had just bought a new motorcycle I asked them to bring it along for the shoot. 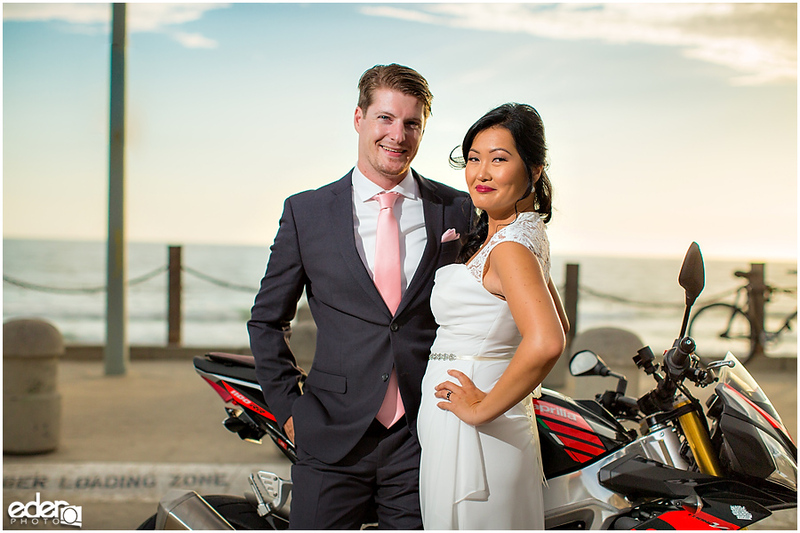 We parked it in the culdesac and did a few photos in the passenger loading zone. 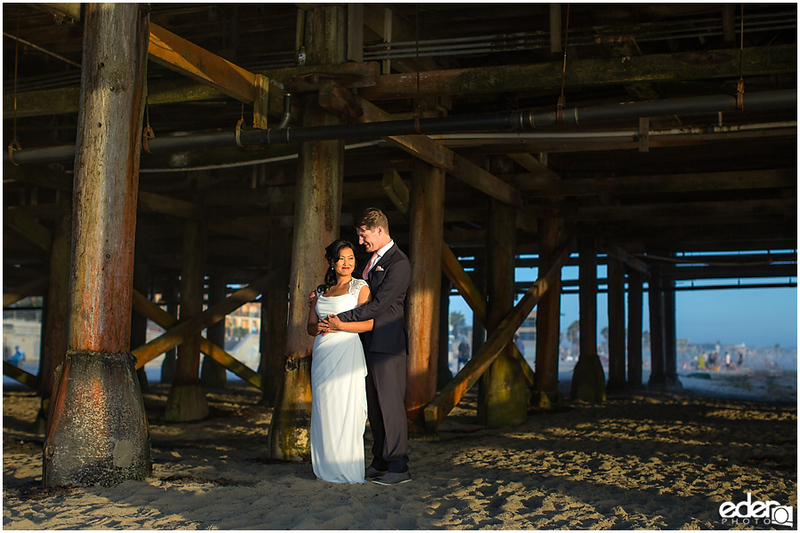 Luckily there were not too many cars or pedestrians traveling through there and we got a few photos that just focused on them. 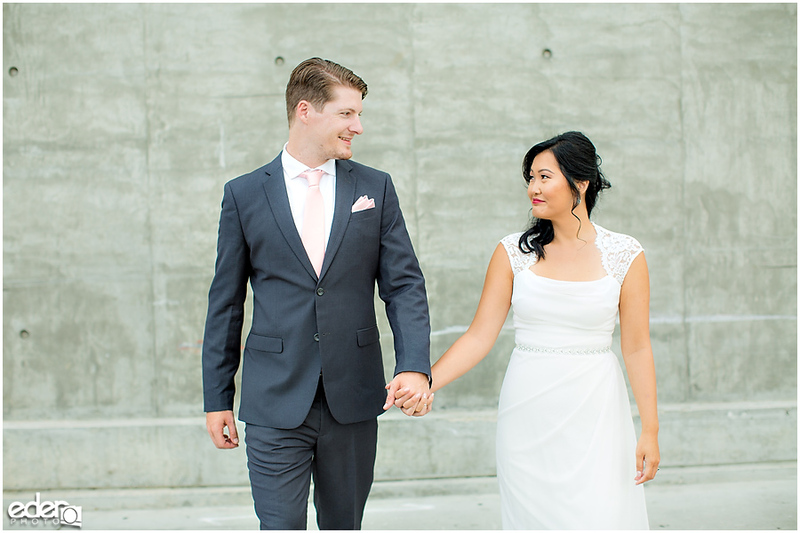 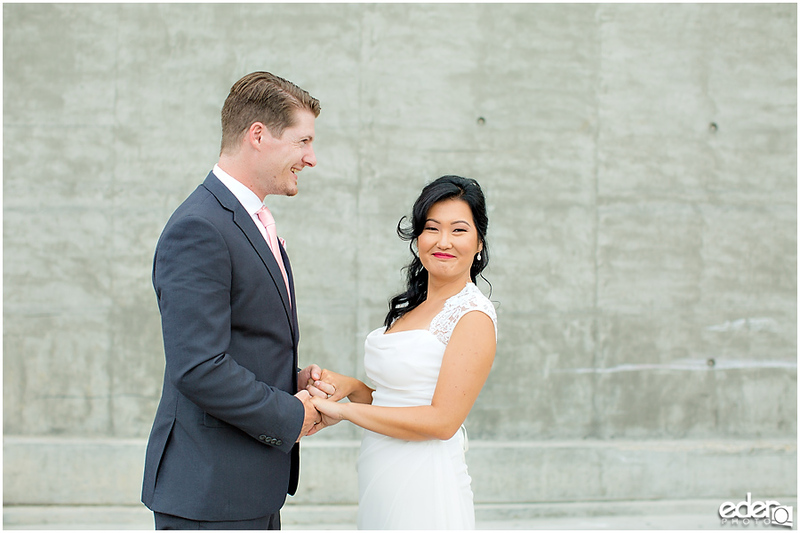 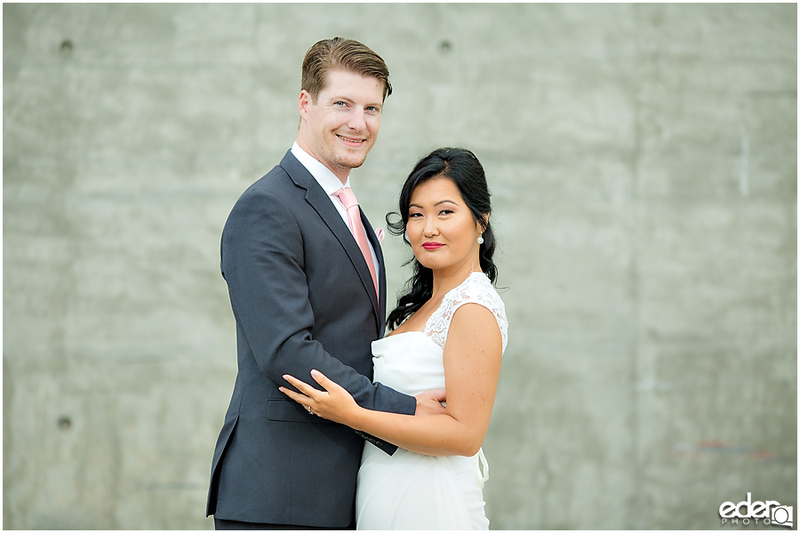 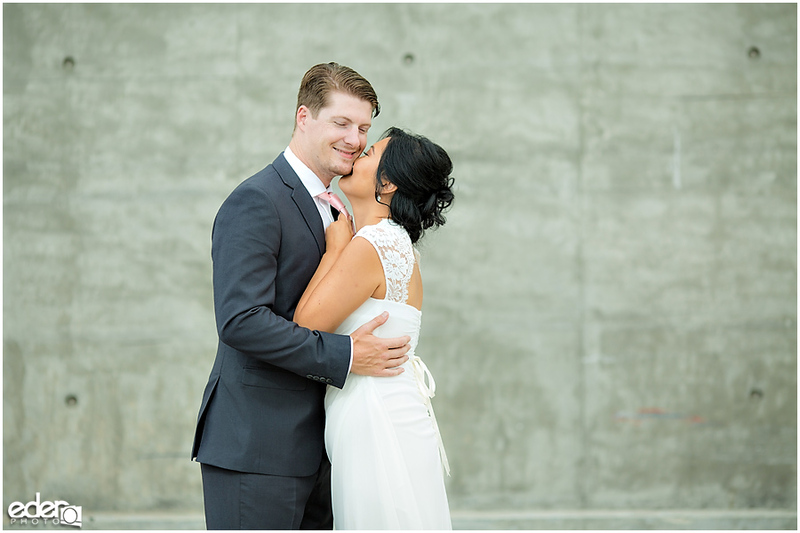 After that, we walked over to one of my favorite blank walls in the area to do some soft light portraits of them with a clean backdrop. 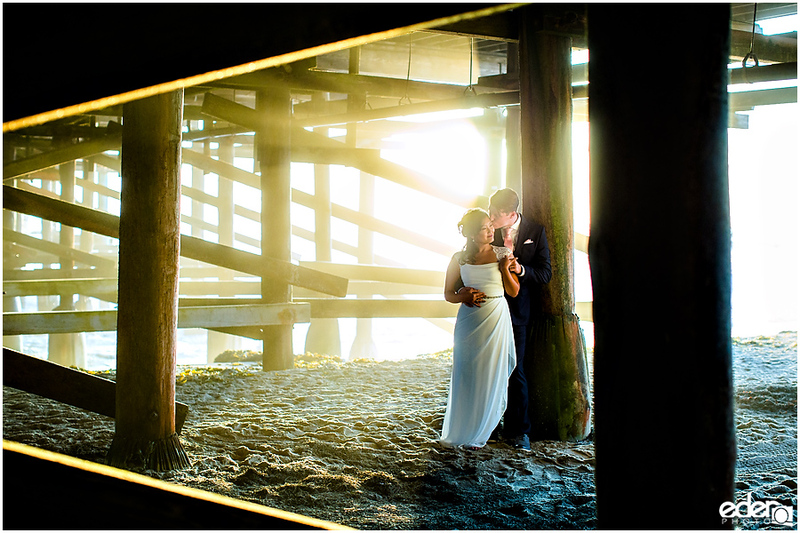 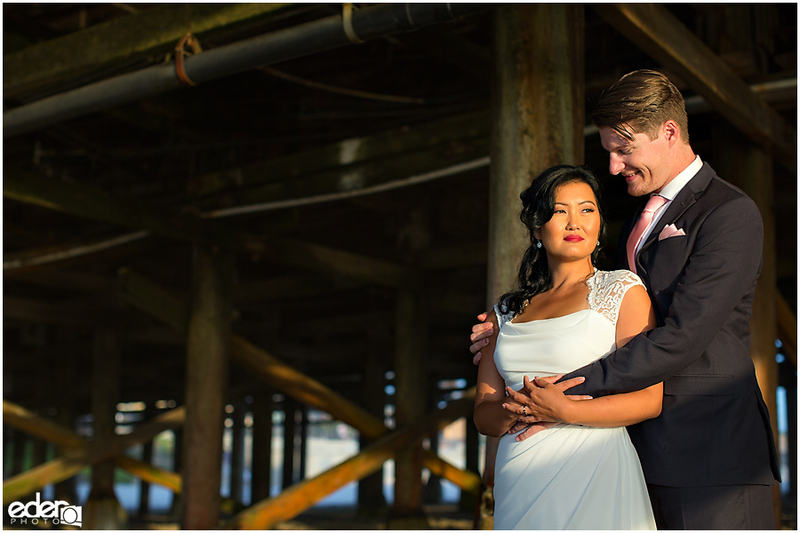 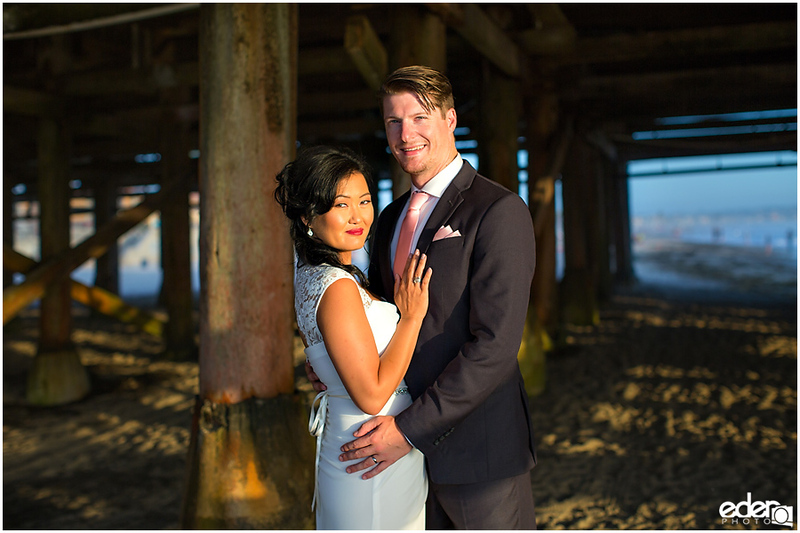 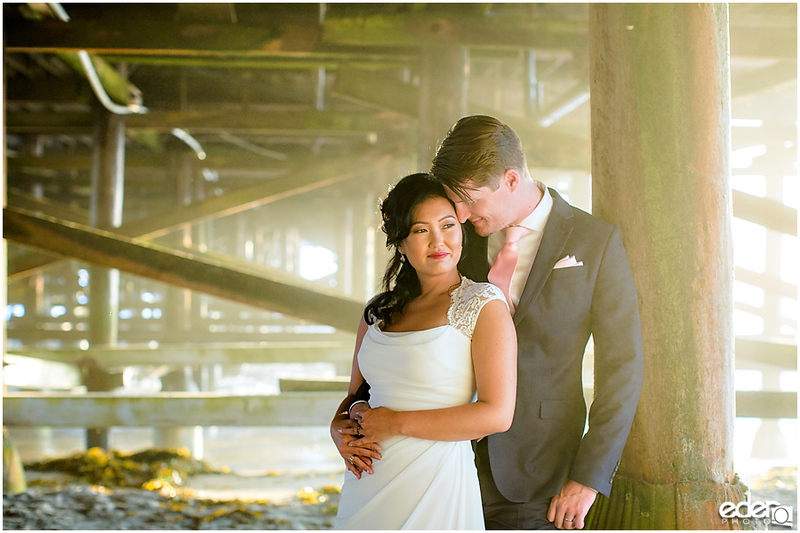 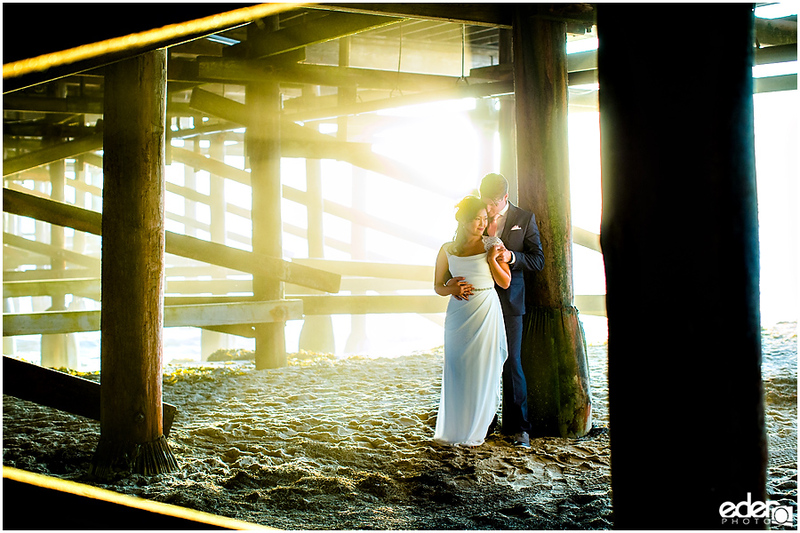 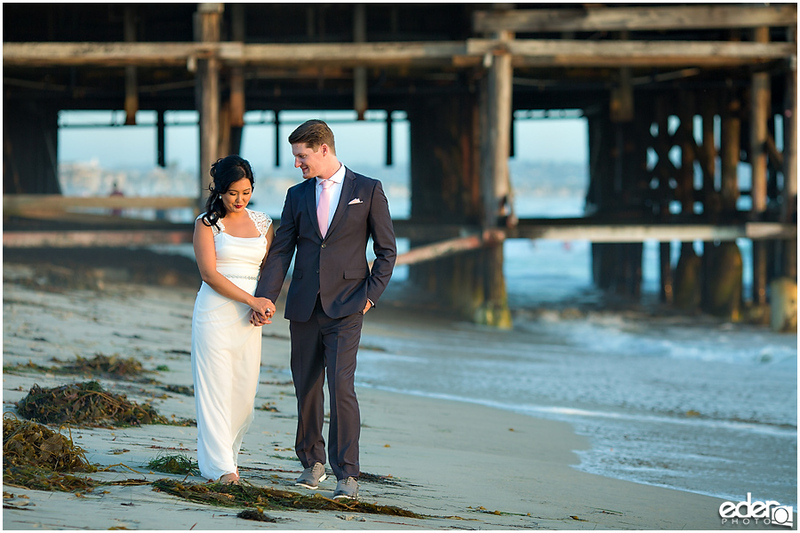 Then we continued down to the beach where we found some amazing light under the pier. 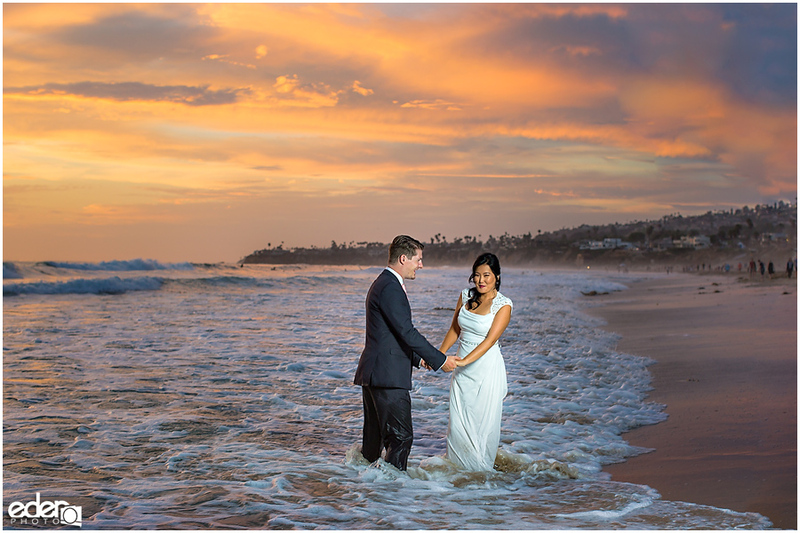 When it came time to go in the water, I instructed them to just have fun with it and go in as far as they felt comfortable. 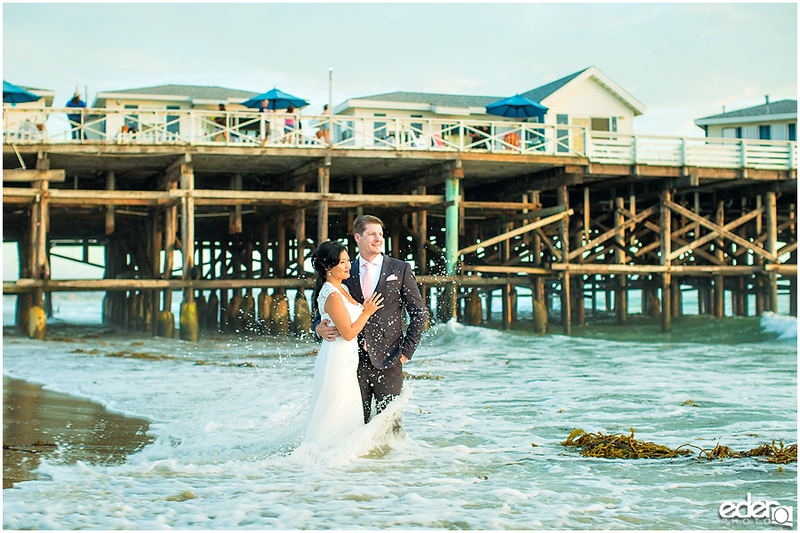 They started to play around in the water and we got some amazing wedding portraits from it. 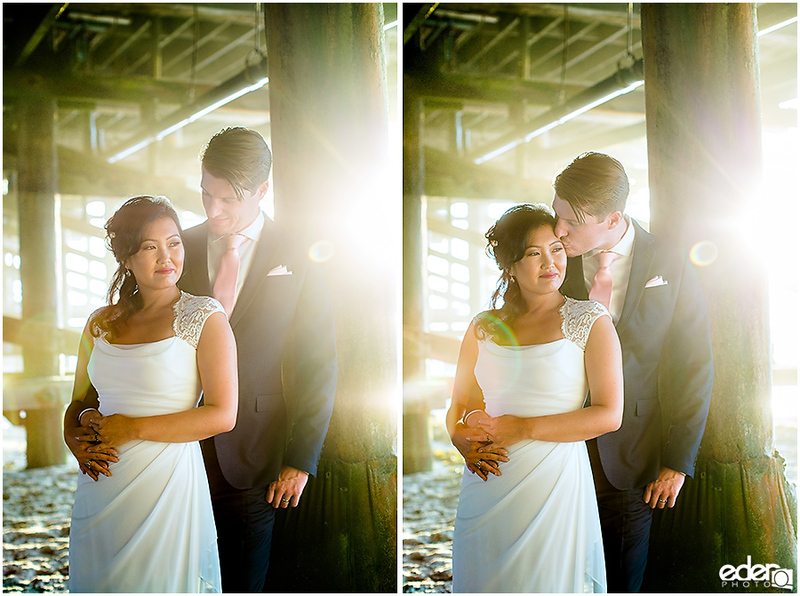 They could not have been easier to work with and things could not have gone any better. 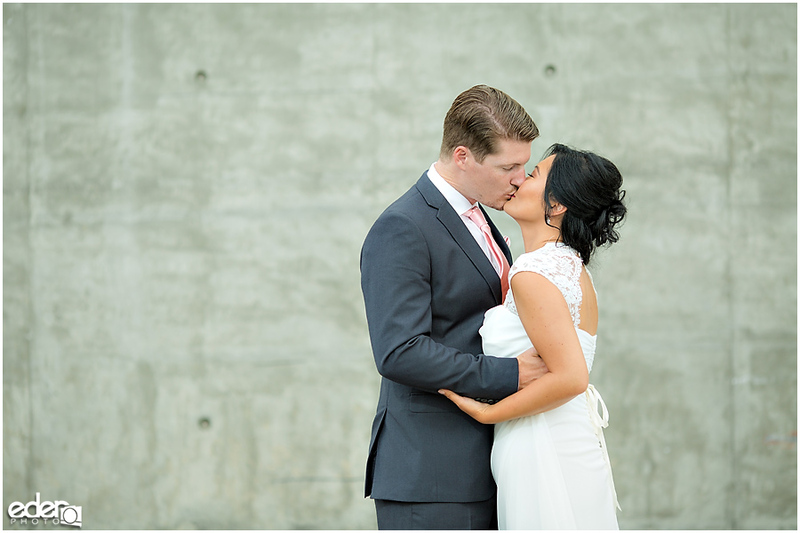 I am very happy with what we were able to create.